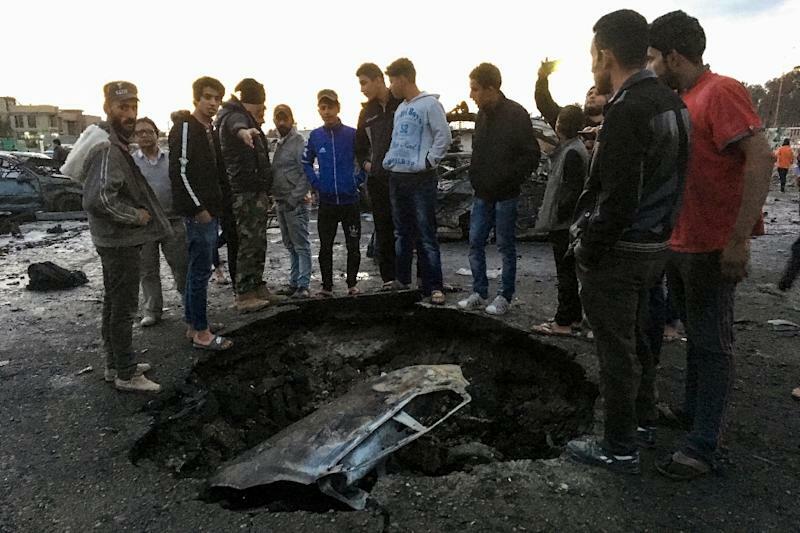 Baghdad (AFP) - A powerful car bomb ripped through a used car market in the south of Iraq's capital Thursday, killing more than 50 people in the deadliest such attack this year, officials said. The Amaq propaganda agency linked to the Islamic State jihadist group (IS), which has claimed nearly all such attacks recently, reported the blast and described it as targeting "a gathering of Shiites". The worst car bomb attack to hit Baghdad in more than six months drew condemnation from the United States and the United Nations, while Prime Minister Haider al-Abadi called an urgent meeting of his security chiefs. "A terrorist car bomb attack struck near car dealerships in Bayaa," a spokesman for the Baghdad Operations Command said. An interior ministry official gave a death toll of 52 and said more than 50 other people were wounded. Hospital officials confirmed the figures. He said the emergency services were struggling to cope with the scale of the attack, which ripped through the busy car market at around 4:15 pm (1315 GMT), and warned the death toll may yet rise. "There are so many victims, not just one or two," said Nasser, a young man wearing blood-stained surgical gloves who was near the site of the explosion and rushed to the scene to help the wounded. "There was one here, we carried him," he said, pointing to a spot behind him. "We found a hand here, a leg and heart over there, everything." "Just the cars, you can be sure of that, there's always two or three people standing next to each car," Nasser said, explaining the high toll. 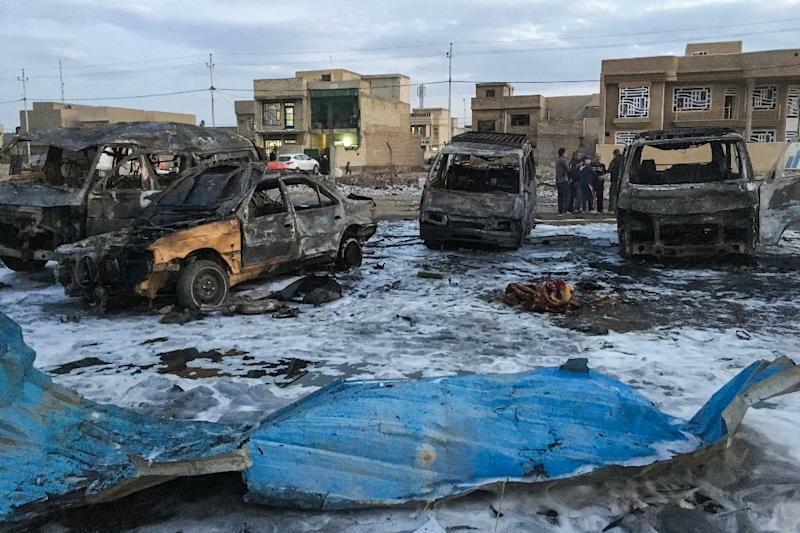 At least 11 people were also killed in a suicide car bomb attack claimed by IS on Wednesday on the edge of Sadr City, a northern neighbourhood of the Iraqi capital that has been repeatedly targeted. "We condemn in the strongest possible terms the horrible terrorist attacks carried out by ISIS (IS) targeting a car dealership in Baghdad," the US State Department said. "Yet again, the terrorists are continuing with their carnage against innocent civilians. This is totally unacceptable," said Jan Kubis, the UN's top envoy in Iraq. France, one of the US' main partners in a coalition assisting Iraq in its battle against IS, also condemned the latest string of bombings. IS jihadists are currently defending the west bank of the northern city of Mosul, their last major urban stronghold in Iraq, against a huge offensive by the security forces. 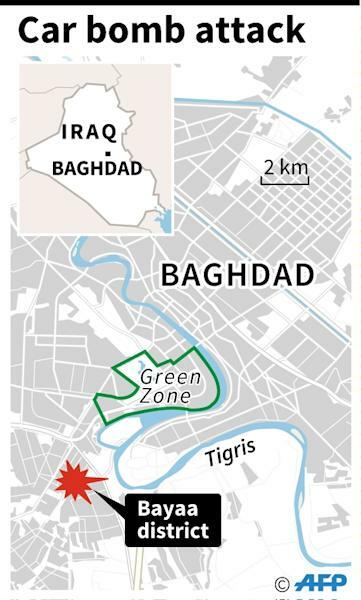 Four months into the broad military operation, Iraq's largest in years, elite forces have retaken the eastern side of the city and are preparing for an assault on the part of Mosul that lies west of the Tigris River. The jihadists have carried out diversionary attacks, such as raids in other towns and cities as well as bombings in Baghdad and elsewhere, in an apparent bid to stretch federal security forces and capture headlines.